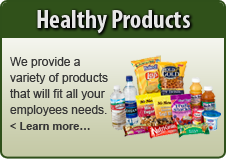 Shamrock Vending offers a wide selection of brand name healthy snack items. 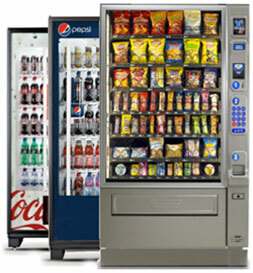 We�ll always stock your machines with the items employees your people truly want. 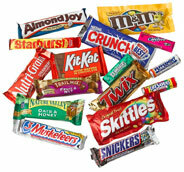 To do this, we survey you before placing the vending machine or machines you want. And after installation, our route drivers watch for trends and will adapt to changes in snacking patterns, replacing slow-moving selections with more popular items. Your route driver can also accept order changes on the fly, or the next time he comes by; your choice. 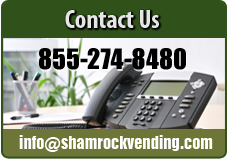 For quick response, simply give us a call! 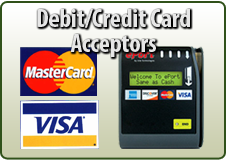 You�ll get instant service. We carry your favorite brand name classics, as well as those looking to become classics. 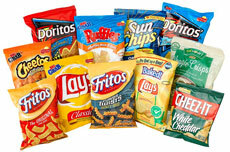 From traditional to baked, lighted salted to fiery hot, super crunch to light as air � our assortment is almost endless! Know that your all-time favorite is a button away � and that your new favorite is just as close!